All under one roof, in a serene and friendly setting in a beautiful old-style converted Santa Monica home, our diverse team of board certified Medical Doctors (MD), Naturopathic Doctors (ND), Osteopathic Doctors (DO), Physical Therapy Doctors (DPT) integrate their expertise in Acupuncture, Traditional Chinese Medicine, Psychotherapy, Nutrition, Yoga, Physical Therapy, and Massage Therapy. Together we help you move toward optimum health and cultivate a balance of mind, body & spirit. Our motto “See one of us, get all of us” thus reflects our vision and uncompromising approach to your health and wellness. The Center’s approach to health-care is unique, integrative and effective. Drawing from both the ancient wisdom of the East and the technological advances of the West, these practices are combined to provide you with science-proven modalities to wellness, giving you, in essence, the best of two worlds. 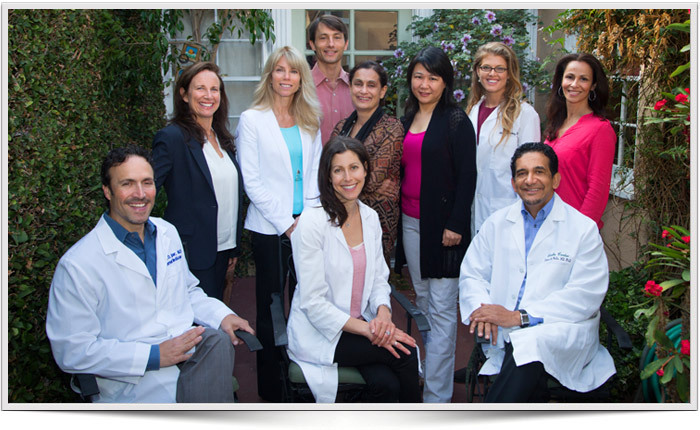 Our Santa Monica office is easily accessible to Venice, West Los Angeles, Los Angeles, West Hollywood, Beverly Hills, Malibu, Brentwood, Marina del Rey, Playa del Rey, Hancock Park , Culver City and Century City. Please stop by for a cup of tea, a tour of the center, and to meet our staff.